EWS Honored to Dress Essex Ed This Year! 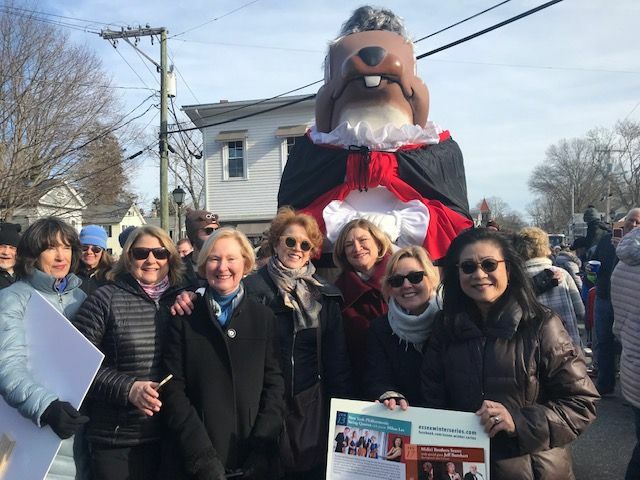 Essex Winter Series had the honor of participating in a beloved Essex tradition – the Essex Ed Groundhog Parade on January 27th! EWS Artistic Director Mihae Lee was the Grand Marshal and EWS Trustees created Ed’s costume and marched alongside the nearly 8′ fiberglass groundhog. Ed was dressed as Beethoven in recognition of the world-class musicians who are a part of the Essex Winter Series. Ed will continue to greet guests at the top of Main Street in Essex Village for the next few weeks. Visit our Facebook page for more photos!